The day was so hot, we needed to find somewhere to sit down. Eventually we found a park, just south of St Mark's Square. This is the area outside the park - it was full of market stalls - mostly for tourists it seemed. Boats area outside the park. Video clips. Wanted to take a few clips while I was hanging around here. 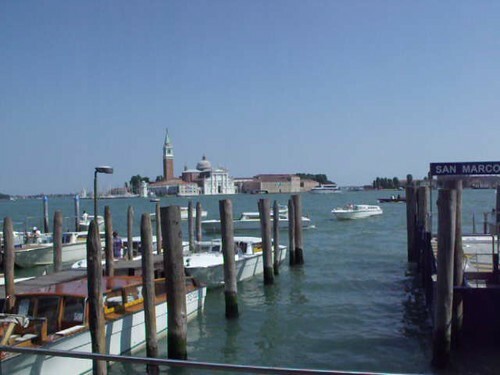 The boats are passing the Church of San Giorgio Maggiore. The path outside the park is the Molo San Marco.